I couple of friends asked me on twitter what iOS development books I’d recommend, based on my experience building Notesy. 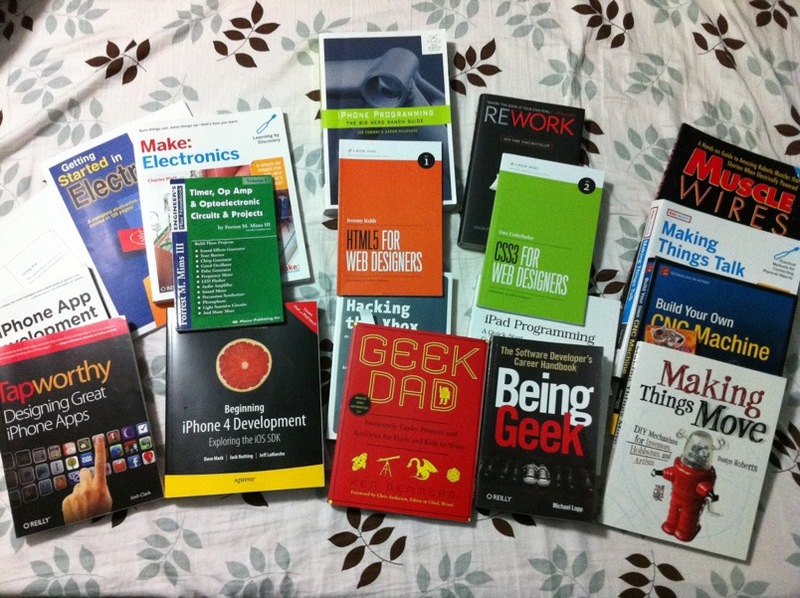 I grabbed a shot of the books I still had in my bedside table and sent them along with a few comments. But digging them out made me realize just how many technical books I’d managed to cram into that little Ikea cuboid. — and that’s not counting the multiple years’ of Wood magazine I also have in there. I think it’s safe to say I’m a geek.